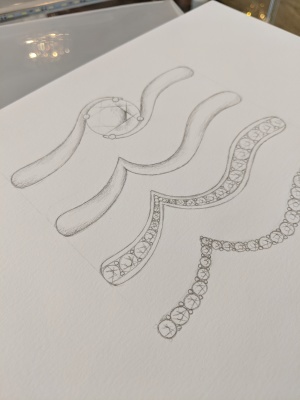 At Jewellery By Design we have the skills and experience to offer you a completely bespoke design service. Bespoke Engagement rings If you have an idea in mind for your engagement ring design, we can make it a reality. 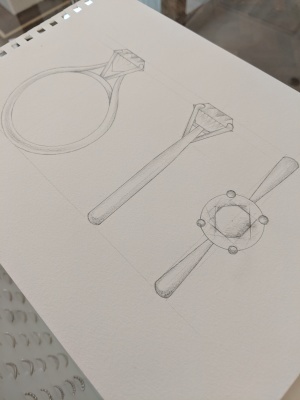 Using hand drawn sketches and CAD technology, we can create an entirely bespoke piece tailored to your style and budget. Shaped Wedding Bands If you need a shaped wedding band to fit perfectly with your engagement ring, we can design the perfect style of shaped band for you. With either plain or diamond set bands available, we will work with you to create your ideal wedding band. 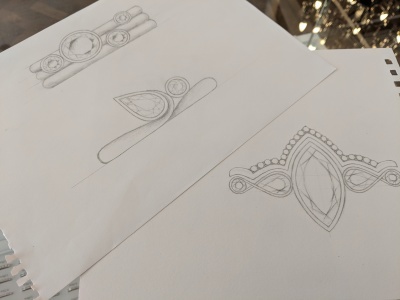 Re-modelling If you have old items of jewellery with sentimental value, we can re-design your items into beautiful modern new pieces to suit your personal style.